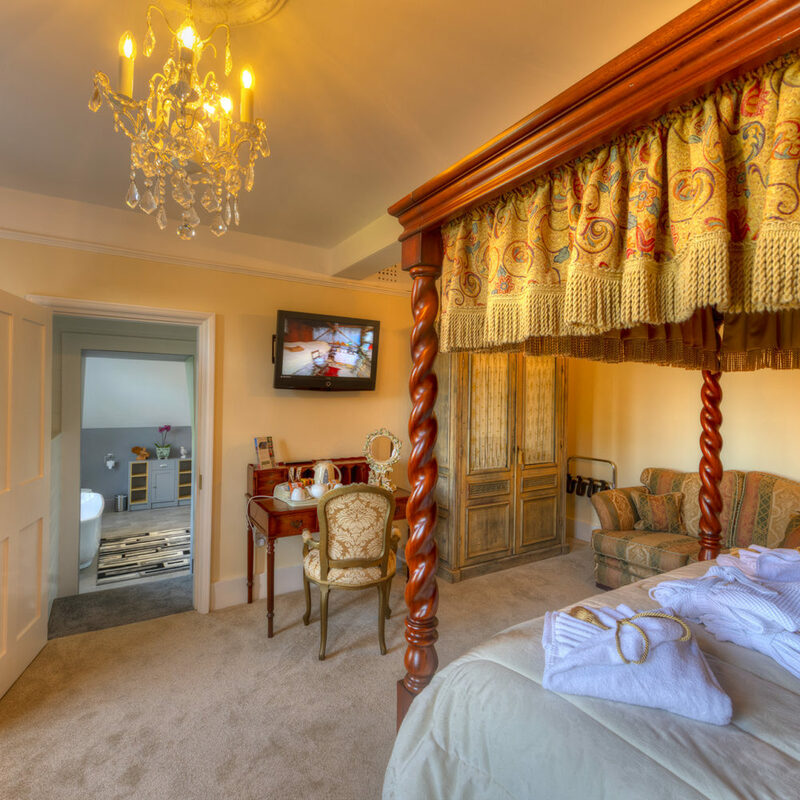 This is a large comfortable suite with king size bed set between two tall windows presented with lovely drapes either side. A good size chest of drawers and a built in double wardrobe and additional soft seat with plenty of space for hair and makeup. The smart TV has internet access. Another Cat6 socket and good strength WiFi ensures you will always be in touch or entertained as you prefer. 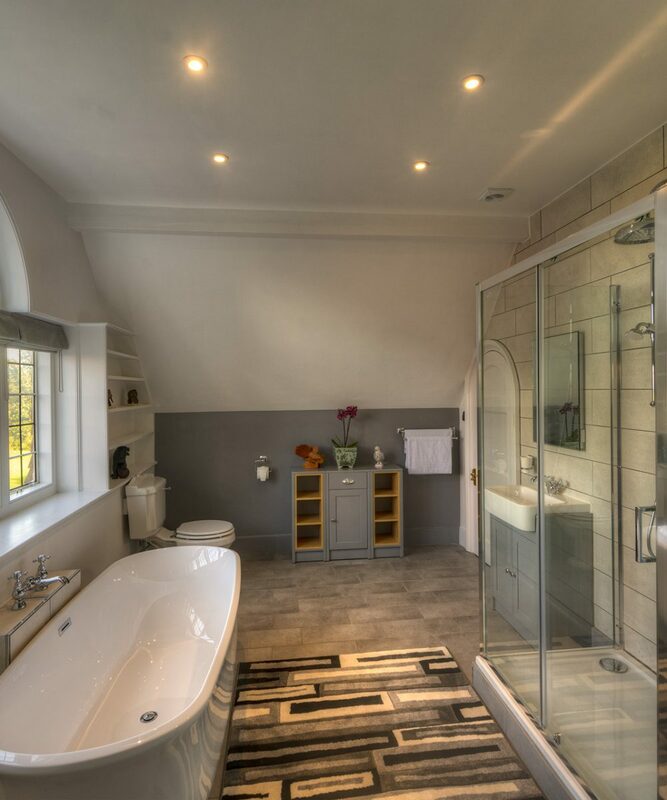 This comfortable bathroom has a large feature shower offering space for two people, the shower has an overhead rain shower as well as a hand operated small shower should you prefer to keep your hair dry. Even the bathroom has far reaching views over the lawns and toward Ashford, in the winter you can see as far as the white cliffs of Dover (leaves and weather permitting). Exiting from the bedroom you turn right to visit the Royal Military and left to go downstairs or to the Hennessy Bridal suite. 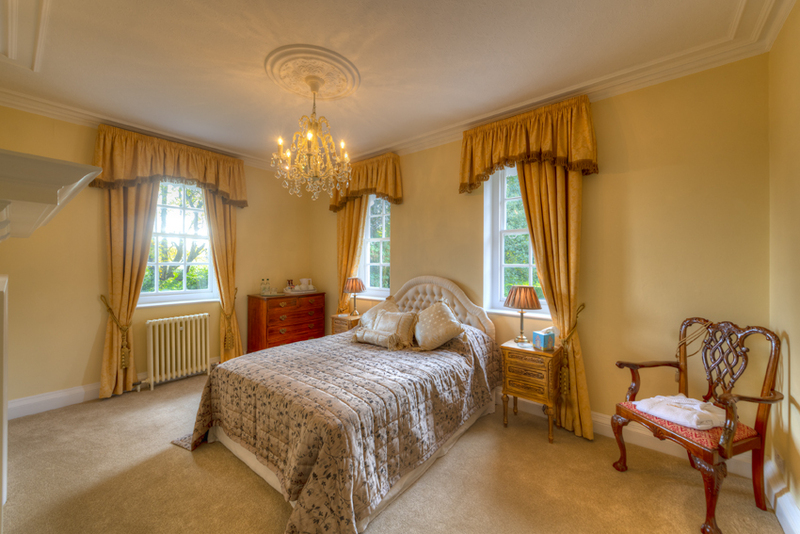 The Amberley suite is only available when the entire property is taken by one group. The feature mirror above the sink has a heated panel to prevent misting as well as a non touch switch to the lower right hand underneath which turns on the lamp when movement is detected. The half round door exiting the bathroom comes out on the middle landing, the door is kept locked from the inside when we have the suite in use to ensure your privacy at all times.